A rifle for Valentine’s Day? 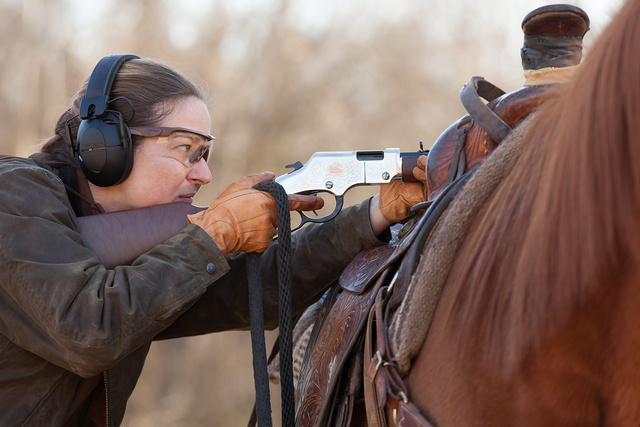 Henry Firearms says: “Consider this American Beauty as a present for your lady.” A pretty good thought, in my opinion. Just make sure to include some ammunition with it. See Henry site for the close-up of the receiver engraving. And yes, the sight picture she has is correct for the degree of the stock drop. 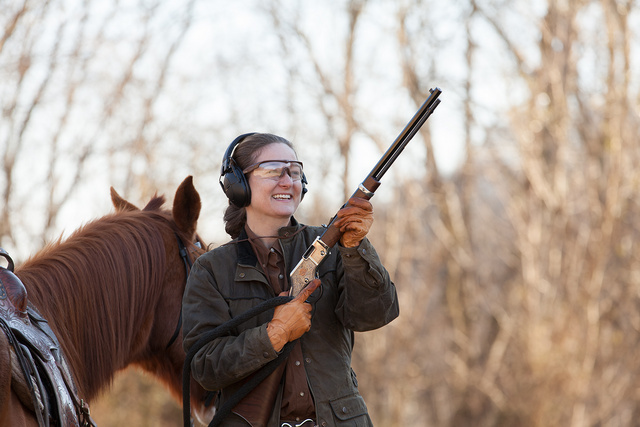 The young lady in the photos is very good rifleman. 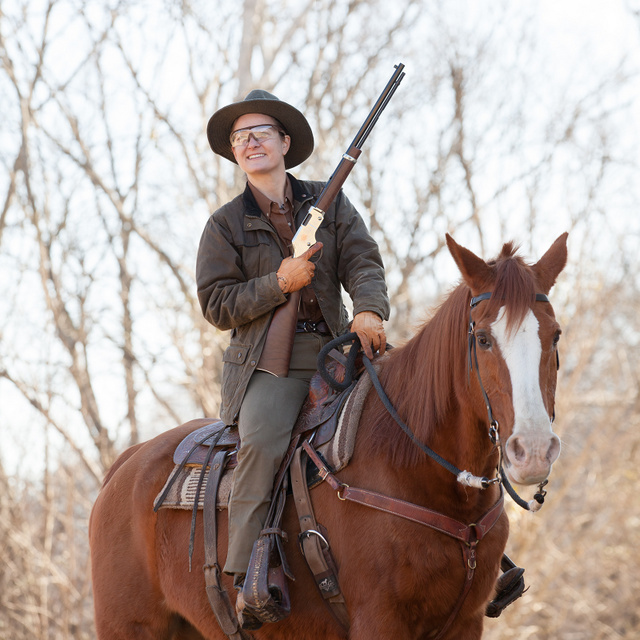 This entry was posted in beast, hunting, rifle, weapon and tagged 22LR, horse, lever action. Bookmark the permalink. 2 Responses to A rifle for Valentine’s Day? Wow … what a sweet present for a sweet looking lady … Very nice, and generous, of Henry Arms to do this. 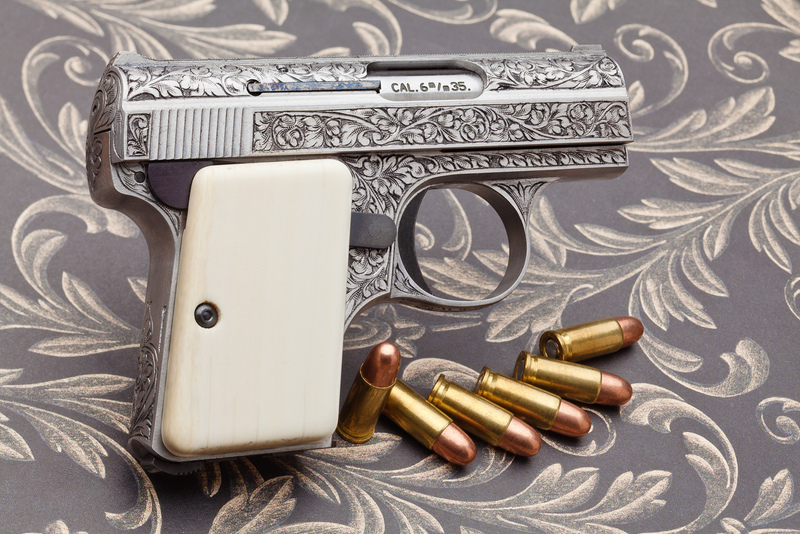 QUESTIONS (2): Do you get many presentation pieces like this (envy is an awful thing,) … and can you tell me if the Boberg 45 caliber Pocket Pistol is in production? Also, must mention I’m a great fan of the photos you occasionally post on Facebook. Presentation pieces are unusual for me, but I’ve worked with engraved guns before. Showing the detail is quite a challenge, especially in field use photos. XR45-S is in production and is everything it was hoped to be: accurate, low in recoil and higher in velocity than other subcompact 45s.